For some time now Iâ€™ve been a big proponent of the default iOS apps. By and large these apps are fairly basic, at least in comparison to specialist third party offerings (think Mail.app vs Spark Mail for example). Shortcomings like this, however, are easily overlooked because of the unparalleled integration many of these apps and services enjoy in comparison to their third party cousins. I still use Mail.app, Calendar.app and Notes.app, for example, though I do still greatly enjoy third party apps to cover holes where integration with the OS isnâ€™t as important. One such area is, or at least was a Read Later service. Iâ€™ve used Instapaper a lot in the past, but recently Pocket releases a killer new feature. This feature allows you to setup Pocket to read the articles you save there aloud to you. At first glance, this seemed like a feature I could really get behind. Iâ€™m a big podcast listener so I already enjoy a lot of audio content, so this felt like it would fit right into my way of consuming content. For all intents and purposes it does a good job. Iâ€™m not, however, using it anymore. In keeping with my aim of staying first party when Iâ€™m able to, I did find it difficult to move away from Reading List which is, again, just so nicely integrated into the system. Hey, did you know you can replicate the Pocket â€˜read aloudâ€™ functionality within Reading List? Donâ€™t get me wrong, the feature on Pocket has obviously been designed with this specific use case in mind, so the voice itself it arguably better there but, for me at least, this is a far more flexible solution. You can utilise this on the fly as well, so you donâ€™t need to send an article to Reading List, of course, prior to firing off the Speak Screen feature. If you enjoy reading various articles, particularly long form, but often find yourself without time to actually read it, this is a really great option for when youâ€™d usually tackle your podcast queue. I donâ€™t often share link posts here at The Dent, but a video came out today that I just had to share with you all. YouTuber, Podcaster and all round awesome guy Christopher Lawley dropped a video heâ€™s been working on for some time, that aims to tell you EVERYTHING you need to know about working off an iPad. While this may sound like a bold claim, Christopher does indeed do a fantastic job of detailing some of the common, yet powerful use cases of an iPad, but he also unearths some real gems. I consider myself a bit of an iPad Power user but there were things here that I didnâ€™t know were possible, such as dragging an address bar to the side in Safari to open a split view (two Safari pages open on screen at once, not across two or more tabs). Whatever level of iPad user you consider yourself, I can almost guarantee there will be something in this video for you. The thing that impressed me most of all about Christopherâ€™s video, beyond the excellent production value, is that he was able to explain some, at times, complex operations in a very concise and easy to understand way. The beauty of the iPad, whether youâ€™re using a â€˜Proâ€™ device or not, is that you can use it for such a wide range of tasks. You can keep it very basic, if that fits your needs, or pull off some impressive productivity tricks. 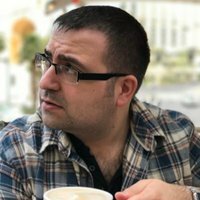 I donâ€™t like the patronising term some bloggers and podcasters use to describe normal / non-techy users, but I do believe you could show Christopherâ€™s video to the full spectrum of iPad users and all of them would both fully understand, and appreciate the excellent tips, advice and guidance. I would highly recommend you share this with anyone that uses an iPad from day to day, whatever their use case or level of skill. While I am, generally speaking, very impressed with this lightweight app, there is just one area I would like to see improvements on. The appÂ does feature 3D Touch functionality, but the widget that appears when you do this, and which you see when you swipe across from the homescreen, is a little strange. When the widget is active, but minmised, you get a basic view that gives you a total count of location based tasks, overdue tasks and upcoming tasks. This isn’t a hugely helpful view. If you hit ‘show more’ you do, however, see the more familiar Home app style view of up to 9 upcoming tasks which you can mark off directly from within the app. This widget would be far more helpful if you could also add tasks here as well. ðŸŽ™ 22: Does Apple Have a Hive Mind? Some of the more click-bait heavy publicationsÂ had a field day with the news, as youâ€™d expect, but even some of the (usually) more level headed podcasts I enjoy have taken some very odd stances on this particular â€˜issueâ€™. I tried to resist. I really did. A few days ago, however, I caved and picked up the iPhone XS Max Smart Battery case and I wanted to share a few thoughts. For those interested, I chose the black one, because Iâ€™m not an animal. First things first, as you have probably worked out yourself from pictures, the Smart Battery case is pretty darn ugly. Unlike many people, I donâ€™t actually mind the hump design where the battery itself is housed. I can see what they were going with there, but thereâ€™s more to the case that makes it a little ugly than that. I really love the sleek design of the current generation iPhones, with its bezel-less screen and thin, yet sturdy frame. This case, in one fell swoop, takes all of this pleasant aesthetic away. The case is, understandably, thick at the back. This is, of course, to be expected. The frame on the other hand, around the band of the phone, adds some considerable bezel-like areas to the screen as is raised a lot more than the Apple Leather cases that I would usually use. There is also a lip at the bottom of the case, absent from the standard cases. This is due to, I imagine, the charging port and to enhance the grip of a heavy case. This bottom lip adds an issue youâ€™ll often see in third party cases, in that it restricts the swipe up from the bottom motion thatâ€™s now requires to navigate the X range of devices. This is not ideal. I mentioned earlier that I usually use an Apple Leather case for my phone. Iâ€™ve been doing this for years and Iâ€™ve really got used to the feel of it. Iâ€™ve always avoided the silicone ones, because I had assumed theyâ€™d be almost sticky and hard to get out of your pocket. The Smart Battery case utilises this same material and itâ€™s actually the opposite to what I expected. It feels almost difficult to keep from slipping from your hand. This is, I would assume, due to the disable extra weight of the device thanks to its little battery backpack itâ€™s carrying around. Donâ€™t even get me started on the lint and fluff the case picks up. A couple of days into ownership and it looks a bit of a state already! So, aesthetically, itâ€™s no Mona Lisa. That being said, however, this devices gives you one of the few examples of where Apple has opted for Function over Form and it certainly is functional. On my completely unscientific test, the battery case added over 14 hours of standby time. I took the device and phone off charge at about 11pm, so bear in mind a chunk of that time included the phone resting completely idol. I donâ€™t, however, get all that much sleep so this only would have accounted for about 4 hours. It really was pretty incredible getting to about 3pm Iâ€™m the afternoon and still having a phone at 100% charge. The hardware also integrates with the iPhone seamlessly and displays the charging level of both the phone and the battery case when you connect to a charger, and in the battery widget, which is a lovely touch. The battery icon is permanently green, because itâ€™s essentially being charged by the battery case. This is such a tiny point, but I found it a little distracting seeing the charging icon on the battery all day. In terms of delivering what you want, a large boost to battery life, you canâ€™t fault this case. The looks are not important, in the grand scheme of things, because I believe the point is to just use the case as and when you need a boost, rather than it being your main case. This being said, however, the way you have to fold the top section down a bit to yank the phone in and out doesnâ€™t strike me as being very good for the silicone and even after pulling it out just once it feels a little worn. All in all, Iâ€™d say Iâ€™d you really need an extra boost of life in your phone, youâ€™d get no better quality and integration than Appleâ€™s own case, though I wouldnâ€™t recommend using it every day. Unless you like your phone feeling like a brick phone from the 80s that is. Each to their own, however. Given the price, I canâ€™t justify the case sitting in my drawer for the majority of the year so it will be going back to Apple, but I will consider picking one up again should the need for longer battery life become more frequent for me. From an early age, my life was full of adventure and wonder. By the time I had hit my early teen years I had already been on an epic quest to save a princess, Iâ€™d visited the stars and even raced a hovercar in the year 2560 at breakneck speeds. Life was good and the future was truly bright. I could do anything. Very recently I finally had my â€˜Wizard of Ozâ€™ moment. My life, once devoid of hope and luminosity, once again exploded into colour. What I am trying to say, via the use of some very convoluted metaphors, is that Shuntaro Furukawa and his company Nintendo were back in my life, thanks to the purchase of the Nintendo Switch. I had owned the Wii U (and Wii) prior to this, but the Wii U just didn’t grab my imagination like the Switch did, and continues to do. This week I finally get around to sharing a few of the things Iâ€™m looking forward to seeing in 2019 and also take a look at some of my favourite blogs, podcasts and content creators Iâ€™m looking forward to watching continue to grow and put out some really interesting content over the coming weeks and months. 2018 was an interesting year, and Iâ€™m looking forward to what 2019 will bring. Greg Morris, of Bring Your Own Device Podcast fame, recently launched a new interview podcast called And You Are?. The first two episodes featured two extremely fascinating guys, writer and podcaster Daryl Baxter and author Matt Gemmell. If you havenâ€™t already, I recommend you stop reading right now and get caught up with these. I really enjoyed listening to both recently. It was a pleasure having a chat with Greg. I really enjoyed our conversation that covered everything from tech pundits that are passed their prime, pub landlord etiquette and much more besides. You can check this episode out directly on Gregâ€™s site. Iâ€™m really looking forward to seeing / hearing who Greg speaks with next week, and beyond and I wish Greg all success he deserves throughout 2019 as he continues to grow the BYOD podcast along with his solo projects of And You Are? and his micro cast the GR36 podcast. In the spirit of keeping things positive, and looking on the bright side of technology, I’ve been keen to explore some of the more interesting things technology can do to enhance our lives, and the lives of those around us. Our iPhones (other phones do exist, or so I hear) and iPads have improved our lives in numerous ways. They help us find our way, capture and share magical moments with friends and family, and even let us browse through pages and pages of cute animals at a whim. Many of us spend hours reading reviews about the latest and greatest To Do app, or email client, but there is often not much said about how these powerful devices can be used to not only help us remember to put the bins out on a Tuesday, but also enhance and even improve the lives of those in need around us. Allow me to change that, in my own little way, with a very specific use case. Be My Eyes is an app made up of a global community that connects people who are blind or have low vision with sighted volunteers and company representatives through a live video call. In essence, it’s very simple, but it can have a huge positive impact on someones life. After downloading the app, you create an account, let them know what languages you speak and you’re done. You then sit back and await a notification indicating that one of the currently ~100,000 blind members of the community need some assistance with something. The assistance will, as you can imagine, involve helping an individual to read a letter or notice they’ve received, read an instruction manual or perhaps describe an item of clothing the individual has received as a gift. I was first turned onto the app via the Late Night Alternative With Iain Lee podcast, which also spoke a bit about another alternative app, called BeSpecular which is the same idea, but a little less direct. At the time of writing, the sign-up page for BeSpecular seems to not be accepting new applicants, but you can sign up still from within the app itself. If you have a little time on your hands on occasion, in-between cute cat videos on Reddit, it would be a great idea to take advantage of one of the above services to improve someone’s day, even if just a little bit. Not only will you be helping people, you may even find it quite fun and, BeSpecular in particular, could even be a fun game to play with the help of your children. It’ll teach them the importance of helping others, and to also make them aware that not everyone is life is as able bodied as others, and we could all use a helping hand at times. If you get one of the apps above, and give it a try, I’d love to hear about your experiences with it. Please feel free to give me a shout on Twitter. After a bit of a break for the festive period (apologies!) Iâ€™m back and ready to kick-start 2019 as I mean to go on, with some positivity! I share a quick look ahead at what to expect from The Dent in 2019 and beyond. Leave your negativity at the door, please. My daughter started school back in September and, since doing so, her love of reading has grown exponentially. Now that she has started learning to read to herself, thereâ€™s no stopping her. Her school has started sending some simple books home for her, and her classmates, to learn with. The problem is, these books are a little too basic for her, because currently they only have one word per page, and she was keen to try more. As is always the case when I need something, my first port of call was Amazon, but this proved to be a fruitless exercise. Given that Amazon started life as a book store, itâ€™s surprisingly bad to use when trying to find a book in 2018. I quickly gave up on this idea. I moved onto Plan B. Now, I should start by saying that J.K.Rowling has nothing to worry about when it comes to my book writing ability. This isnâ€™t a post to brag about how Iâ€™ve become a skilled novel writer overnight, itâ€™s more about highlighting another fun thing you might enjoy using your iPad (or iPhone for that matter) for. First things first, I used Pages as a basic tool for creating the basic design of the book. Iâ€™m not entirely sure how long theyâ€™ve been there, but the current version of Pages on iOS already has nine basic book templates to choose from. One of them, simply called â€˜Storyâ€™, is already a basic childrenâ€™s book, which is useful! I duplicated each page, to keep the formatting the same, and just updated the content. All simple stuff so far, though it was obviously looking pretty bland. Given the target audience for the book, a bit of art was needed. I included the disclaimer above regarding my lack of novel writing prowess, but Iâ€™m afraid I am now going to have to include another. I cannot draw to save my life. This will be clear once you see what comes next. A quick search on DuckDuckGo (yep, Iâ€™m a search engine hipster) and Iâ€™d found some great images to be the star of my book, Poppy. Given I will, clearly, not be selling the finished article, I was essentially free to grab a few images that I needed. Once I had my images, I imported them into the excellent Pixelmator for the simple task of cropping out the background, leaving me with a clean image ready to use. Next up, the newly cropped image was copied to my iPad clipboard and I moved onto Linea Sketch to paste it into a new canvas to create the scene for the book. Linea is a really great app which is both simple, and powerful, at the same time. Itâ€™s in no way as powerful as something like Photoshop, but itâ€™s not trying to be. Its main function is for drawing, but it does also include some basic laying functionality which was ideal for my needs. The panda images, which you can see below, were simply pasted from Pixelmator into a Linea canvas and I then added new layers for the background colour and then more for other things I needed to either also copy in, or draw, like the microphone (which was pasted in) or the expertly drawn hat. Once done, I had a selection of images that fit with the text I wrote early so I, once again, jumped back over to Pages to finalise things. I opened both Pages, and Linea, in a multitasking view and copied each separate Linea canvas and simply pasted the image directly into each page of the book. After a little dragging around to line things up, it was essentially done. As a final little cherry on the top, I exported my creation out of Pages, into Apple Books, as an ePub for my daughter and I to enjoy at bed time. Generally speaking, my daughter doesnâ€™t use an iPad much, especially at bed time, but on this occasion we did take the new story for a spin and it went down very well. She was able to read something herself that stretched her more and I had the satisfaction of both being able to give her what she wanted, whilst also getting even more use out of my iPad. The above process took about thirty to forty minutes to complete, at most, yet Iâ€™m pleased with the results. The book itself, on itâ€™s own, looks pretty hideous, I know, but the fact I was able to make it so quickly was great, and the actual look was largely irrelevant to a child that just wanted to have some fun reading. I can see a lot of potential for taking this idea further down the road, where we can maybe write and illustrate the book together next time. Iâ€™ll be sure to share some details of our next best seller as and when the big launch comes around next! For now, however, you can breath easy J.K. your crown is safe. Well, that is still true. When the study / office was ready, I was still using the 10.5” iPad Pro as my main device. The new models were still 6 months, or more, out, and I started to get itchy feet, so to speak, because I had already picked up the monitor. Cue an evening of some browsing of the Apple Store website and a little deep dive into the refurbed Mac section … I came away from that visit with a low end 2014 Mac Mini on order. When it arrived, I realised I’d made a terrible mistake. Episode 200, sadly, marks theÂ end of the Pocket Sized Podcast. I joined Scott as his new co-host from episode 191Â and recorded about 8 episodes, so I’m sad to see the show end so soon into myÂ stint. Also, be extremely skeptical of anyone who makes a judgement about switching to an iPad when they havenâ€™t actually done it themselves (this goes for most judgements about most things throughout life). This group includes the apparent majority of tech journalists, most of whom seem to have an annual ritual of spending one week with the newest iPad, and then saying itâ€™s not a laptop replacement yet in some general sense. How would you even know? I certainly didnâ€™t until six months or so in. In 2014 my wife and I lived in a small house, with a spare room that was used as my home office / study. Within lived my 27â€� iMac. This was, at this time, my main computing device. Also at this time, I found out I was going to be a dad. This was, of course, amazing news, but my iMac didnâ€™t agree. The iMac knew itâ€™s time lording it up in my spare room was numbered. The room was quickly converted into a nursery and, after a short stint in the corner of the living room, was quickly retired. I loved that iMac because it looked so pretty, but functionally I didnâ€™t miss a thing, even then. I did very little (read nothing) on the device to warrant its existence. I didnâ€™t admit that, however, until I had no choice but to let it go. After trying out many, many writing apps over the years, with apps like Drafts and Ulysses being particular highlights, Iâ€™m currently using a bit of a classic, namely iAWriter. Iâ€™ve been using it again for a few weeks now and Iâ€™m really in love with the app. It does exactly what I was looking for in a writing app. The UI itself minimalist, and the Focus mode really helps you … well, focus! This mode dims the text you’ve already written, and keeps only the current word, line or paragraph (whichever you choose) brighter. You get the choice of a light and dark mode which is really important for a writing app in my book. One of the big selling points for Ulysses, according to many people, was the fact it can also post directly to Wordpress. Well, it turns out, so can iAWriter. Once you provide your credentials any post you write (including images) will be uploaded to your Wordpress site and saved as a Draft, ready for you to publish at your convenience. iAWriter is one of my favourite types of apps, in that on the face of it it’s very simple, yet once you dig in a little you find some really powerful features. The beauty of computers is that they wonâ€™t judge you. Use whatever computer you prefer. Use a terminal, a Mac, a PC, a phone, an iPad, a Chromebook. It doesnâ€™t matter. The work you do matters. Former Workflow team member Matthew CassinelliÂ recently shared a fantastic idea for both backing up and organising Shortcuts on iOS, on his new podcast (which he co-hosts withÂ Alex Cox,Â calledÂ Supercomputer. Iâ€™d planned on sharing this idea here in a simple blog post, but I thought a short video would perhaps work a little better in explaining the process. To that end, I recorded and edited a short video which you can see below. If you want to hear a bit more about Ferrite check out Pocket Sized Podcast episode 196. Prior to picking up the 2018 iPad Pro 12.9”, my main device was last years 10.5” model. I had the 1st generation iPad Pro 12.9” prior to that. I switched to the smaller model, originally, because while I loved the screen real estate on the larger brother, the device itself was unwieldy, heavy and just generally a bit ugly. Now that I’m fully on board with using an iPad for my personal needs (I have to use a PC at work) I was, however, on the market for the larger size again. The new iPad ditches the Lightning connector and replaces it with a USB-C connection. This has been praised as opening up a greater potential for the iPad Pro to connect to a greater variety of devices, though I’m as yet to truly understand what this really opens up. I’ve connected the 2018 model, and last years 10.5” to an external and saw the same letterboxed mirrored display presented on both. I know USB-C allows for the iPad to now drive a 5k monitor, which Lightning apparently couldn’t, but right now that doesn’t equate to much. I learnt recently that iPad’s have been capable of showing something different on an external monitor to that which is displayed on the iPad, but I know of very few apps that have taken advantage of it. Whether the introduction of USB-C will change this is yet to be seen. I hold out hope it will, however. I’ve not been concerned, as yet, that I made a mistake in moving from a 10.5” to the 12.9”. This size is better for a desktop / lap situation, which I do quite a lot. It is also, however, surprisingly comfortable for use without the keyboard in a more traditional iPad setting such as on the sofa or even propped up in bed. Along with the new style, the only other real difference is the two viewing angles that are offered. You can get a very upright ‘desktop mode’ and the original angle. The desktop mode is nice, but doesn’t offer a huge difference. More options are, however, always welcome. To me, at least, this is still the de facto iPad Pro keyboard experience. On the podcast this week I share some (slightly delayed) thoughts on Appleâ€™s iPad focused event held in New York City on the 30th October 2018. We saw some not so mini Mac Miniâ€™s, some not so light as air MacBook Airâ€™s and some iPadâ€™s that require a small mortgage to max out. You can also find a direct ðŸ”— on the podcast page. On the 30th October 2018, an almost unending troop of Apple (and guests) presenters took to the stage at the Brooklyn Academy of Music within the Howard Gilman Opera House, New York City, to show us there was ‘… more in the making’. They were not wrong! To get things started, I will tell you that I currently have an iPad Pro 12.9”, Smart Keyboard Folio and Apple Pencil Gen 2 on order. I’ll be getting the keyboard and Pencil on release date of the 7th November, though after a bit of a mess up my end, the iPad will be coming a week later. All in all, the device itself looks amazing. The 12.9” model I’ve ordered has a greatly reduced footprint (almost 25% I believe) than the last 12.9” iPad and is thinner and lighter than ever. This size, to me, seems like the logical one to go for and I can’t wait to get my hands on it. I’ve worked my way through, at one time or another, pretty much all of the main iPad Pro keyboards (Brydge, Logitech’s various offerings etc.) and while many are great, I’ve always come back to the Apple Smart Keyboard. It’s simple, connects (and disconnects) extremely quickly and it’s just nice to type on. I’ve always hated ‘clacky’ keyboards, so it suits me just fine. At Â£199 it’s absolutely ridiculous, but in for a penny in for a pound I guess. As mentioned, I’m extremely excited to physically get this device. It looks amazing, and I can now bump up from a 10.5” model back to a 12.9” version without gaining quite as much size and weight. That, to me, sounds pretty exciting in of itself. I do, however, feel we’re only seeing half of the story that is this generation of iPad Pros. The hardware is, once again, a massive leap forward, but I think we’ll see the next chapter come the release of iOS 13. Like it or not, the Mac has clearly had it’s hayday. The iPad’s, however, has yet to come. I, for one, am very excited to see what comes next for my favourite bit of kit. I mentioned on Twitter, a few days ago, that everyone will get bored of my voice this week and now you know why! I posted a few minutes ago about this weeks Pocket Sized PodcastÂ and, following hot on the heels of this release another show that I’ve featured on, The Outpost Show episode 30, has just been released as well! Daryl was kind enough to invite me on this show with Dave Nott, Chris LawleyÂ and Daryl himselfÂ to discuss the iPad Pro event that Apple held yesterday in New York City. This week, Scott and I started down the long road of Writing / Note taking apps. For this first episode, we dug into some initial use cases and types of writing we do. Scott shames me into journaling more with a fantastic use case and I stumble awkwardly over sharing some political views. It’s dangerous ground people, and it gets deep!